Other reasons for dandruff could be diet, skin irritations, psoriasis, eczema, and excessive, lack of, or improperly washing your hair and scalp. With a laundry list of reasons for a dandruff problem, it can be difficult to eliminate, especially if you are not aware of the cause. Many dandruff shampoos are often too harsh for curly hair. Many curlies are turning to natural forms of dealing with scalp conditions and it is only natural that we opt for natural methods as we rock our natural tendrils. I decided to get a professional opinion on the topics and enlisted the expertise of Dr. Kari Williams, trichologist and owner of Mahogany Hair Revolution. 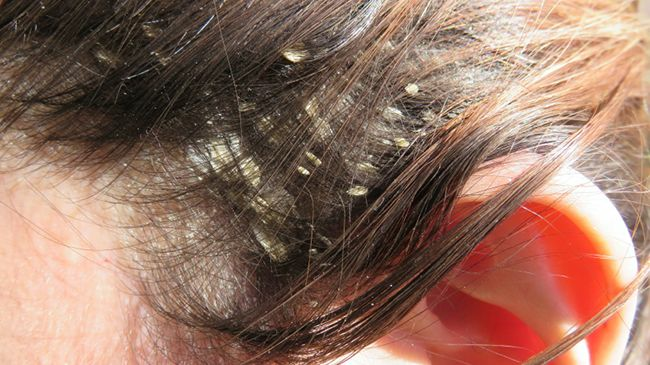 Coconut oil and lime juice are a great combination to rid the scalp and hair of dandruff. Mix one part lemon juice to 2-parts coconut oil and massage into the scalp. Cover with a warm towel and leave in from 15 to 20 min. Shampoo or cleanse and style as usual. Lavender oil and olive oil makes a great scalp massage oil to thwart dandruff. Mix 2 tbsp. of olive oil and 20-22 drops of lavender well. Apply to scalp and massage gently before covering with a shower cap. Leave on for 30 min. before cleansing with a gentle cleanser and style as usual. Rosemary oil, also known as Rosmarinus officinalis, has been used since ancient times for a variety of purposes including culinary and medicinal. It has become popular in recent years because of its ability to stimulate hair growth, boost mental activity, and relieve respiratory problems. Rosemary has antimicrobial and antiseptic qualities, which make it ideal for eliminating eczema, dermatitis, and dandruff. Dr. Williams adds that rosemary “has anti-fungal properties that help it kill the yeast that's associated with dandruff. It also helps to soothe the itching associated with some forms of dandruff.” Fight the dandruff then soothe your scalp! Rosemary oil and your favorite carrier oil can make a perfect dandruff fighting massage oil. One drop of rosemary oil for every tbsp. of favorite carrier oil (coconut, olive, etc.) and massage into scalp. Allow to sit for 20 min. to overnight. Shampoo and style as usual. Merely take ½ to 1 cup of olive oil and warm on the stove. Massage onto the scalp and then wrap hair in a warm towel. Leave on for 45 min. up or overnight before shampooing and styling as usual. The expert has spoken so go forth and destroy that dandruff with a vengeance.